We’re all at the Co-op….now! The swift development of the Co-operative Council movement has taken even its originators by surprise. It now counts 17 councils in its number with a growing body of thinking and real live examples of the approach in action. When people feel moved to pose for pictures on sweeping municipal staircases, its time to take notice! Could it be that a genuinely new local government model is with us? The Co-op Council idea has instant appeal; people instinctively connect with it. It has grown out of local government itself and is not reliant on massive central government machinery for its fulfilment. It gives a positive role to public servants and an opportunity for planned participation and empowerment, which is a great antidote for laissez-faire ‘big society’ voluntarism. Anticipating Labour’s return to power in a number of large councils over the next couple of years, a substantial number of them will be run under the co-op banner, with the chance to set the agenda for Labour’s approach to local government. This is precisely the time therefore to strengthen the thinking by asking some difficult questions. Given that for the foreseeable future the financial climate will be one of continued significant downward pressure on public services funding, but also because councils are charged with the efficient and strategic use of public funds, Co-op Councils will need to answer the question, “how do they set about saving money?” What does reducing cost ‘co-op style’ look like? What is the co-operative approach to improving, re-shaping or re-designing services? How do Co-op Councils set about enabling the best use of all the available capacity in the community, staff, third sector, residents and businesses? What is the co-operative approach to strengthening democratic accountability? How does this aid social justice and equality of opportunity? How does a co-operative approach encourage sustainable regeneration and prosperity? Small service units (like schools) coming together with others in co-operative trusts to share resources and procure goods and services together. Pooling Council and community resources together in community trusts (like some youth services) to achieve a better blend of service and social capital. Working more closely with people in communities (both of interest and of place) to avoid the amount spent on services that are of little use because the design process has excluded those who participation is needed to really make them work. What is clear is that the co-operative and co-production agendas are inseparable. Indeed the thinking of those who founded the co-operative movement was based on this; the evils attributed by Owen to the impact of the “great director” who designed the process of production such that it was split up and mechanized to the detriment of the whole. There are many examples of innovative co-operative services, but they have tended to be small scale. The challenge now however for many councils is how to bring these ideas from the margin to the mainstream. How can they enable the development of co-operative forms of provision and genuinely co-designed services ‘at scale’ so that it becomes the mainstay of how a council works, not just an interesting experiment on the sidelines, that will be at risk in the next cuts round? Urgent debate is needed to find the answers. The reality is that councils will not find this work easy. We have just emerged from an era that was anything but co-operative; what defined the era was unprecedented levels of centralisation. ‘Good practice’ in all areas of the public service was codified in a debate where definitions of what was good were defined centrally by ‘the professions’ and civil servants, then baked into a set of targets and inspection criteria. The ‘great director’ was very much in evidence, citizens and service users only got to say whether they liked it or not. Opinions will differ as to whether this was necessary, my only point here is that the attempt to build the perfect machine bureaucracy producing 100% consistent and reliable results does easily segue into an era of localised co-production where solutions may vary from locality to locality and where experimentation will be important. Leaders should not underestimate how much ‘unlearning’ of old habits is required. Councils embarking on this kind of endeavour learn a couple of things very quickly. Firstly, that there are some services which are simply not suited to development through a localised co-production route. Those that may benefit from economies of scale, like support or ‘back office’ services for example, or where it makes sense for residents and businesses to have one point of contact, like customer access. These services shouldn’t be broken up but reconfigured to meet the demands of the new service provision landscape. Secondly, that other services most certainly will benefit from a co-operative approach particularly those that are based on what economic analysts now call “relational goods”; those services through which social capital is developed based on the quality of human relationships, and which are delivered in real partnership not as a purchased commodity or charitable offering. In Bologna, 87% of social care services are provided through municipal contracts with local, approachable, human scale, social care co-ops which are embedded in the communities they serve. Co-op Councils will need to be clear about which services they see developing through which route, be clear about the amount of budget (or investment capital) that can be afforded and then create the conditions, set the timetable and develop the skills to make it happen. This starts to address question 3. How co-operatives make the best use of all the available energy and commitment in a given area. Co-op Councils work to date in establishing charters and commissions aimed at developing a new relationship between citizen and state are well founded. Long before the Rochdale pioneers the first co-ops, notably one in Osbiston, failed as entities because those coming to them didn’t understand the notion of ‘having a stake’ – they simply wanted work and only understood the traditional employer/employee relationship. Developing a culture within society in which people play a more active part, ‘something for something’, will not be easy but the evidence is that many people are hungry for change. It is likely to be important that Co-op Councils recognise and deal with the fact that in todays commoditised public services arena, so much of the decision-making power and resource power is held by professionals in ways that make the professional themselves uncomfortable. This current ‘deal’ leads to all sorts of problems for staff regarding levels of public expectation, the reality of being administrators of large scale and insensitive systems, and the difficulty of being locked into a false role where it assumed the expertise is all on one side. For many people employed in public services a more equal relationship is the doorway to a better relationship. It will take time to achieve a large-scale change in the relationship between citizen and state. Change itself has to be co-operative hence it is more likely to happen in steps, through public services developing new relationships with community groups, rather than all at once through big policy changes. What we know about change management is that the key skill is not to treat the whole population as the same and look for one answer, but to connect with different groups. What councils will find is that in all citizen groups there will be ‘pioneers’ – those who are impatient for change, who are predisposed to developing a new relationship. There will also be ‘prospectors’ who will do so only if they see, selfishly, that it works better for them and a third group, ‘settlers’, who will only change when everyone else has. In time what will emerge from this work is a more diverse service provision landscape, with many more social enterprises, mutuals and co-operatives. Hence Co-op Councils may have to re-think democratic accountability to truly embrace the principles set out in the Charters that many Co-op Councils are developing. The current model has a certain neatness to it; large scale services run directly by the council are held accountable through political and managerial scrutiny of indicators of performance, those that are contracted out in some way need the retention of a large scale ‘client-side’ operation to police the contracts they establish. This arrangement though has obvious problems; traditional forms of accountability see the world through a service provider lens. They are usually based on performance indicators and are, at best, proxies for reality. People who receive those services rarely have any part in constructing them, which means that all too often the story of the experience of whole sections of the population are missed. A statistic like 73% satisfaction with a benefits service seems reassuring, but 10% of the whole population, (people whose first language isn’t English for example) might be 100% dissatisfied with it. If Co-op Councils are to genuinely promote equality and social justice then measurements will need to reflect a more sophisticated understanding of the diversity of the population and capture the stories that define the experience of different groups. The Centre for Public Scrutiny describes accountability as a ‘web’ rather than a single judgement, which needs to embrace a range of ways in which services are held to account, through which decision makers understand how well services are performing, and how well public funds are being used. The data that the web will need to capture and make available to all needs to include. outcome measures, performance measures that users have co-created, citizen ‘ratings’ of services and choices made through personal budgets. In what has been called the ‘age of reference’ there are now so many ways in which people’s opinions are gathered in real time to build a picture of how good or bad something is. It may well be that Co-op Councils will need to use technology and other means to build new forms of accountability and in doing so, give voice and power to those people who are rarely heard in order to promote social justice and equal opportunity. The development of the Co-op Council network holds out the promise of a genuinely new era for local government but it requires a significant shift in the way we think about the work of local government. The movement has the potential to develop a whole new way of working, in touch with the times, able to respond to the challenges of diminished resources, but to do so by liberating people from constrained roles, drawing people together in a spirit of community and co-operation and humanising the work of public services. Max Wide is a Director at IMPOWER. 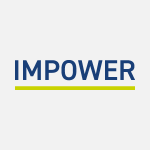 To contact him to discuss this blog please e-mail mwide@impower.co.uk or call 020 7017 8030.